The John Lewis TV moment reigns supreme in signalling the festive season. Campaign revisits the work of Christmases past to look at how the retailer's ads have developed. Ahead of this year's big reveal, Campaign charts the evolution of the campaign from 2007 to the present day. Every year, John Lewis and its agency Adam & Eve/DDB must meet – but preferably surpass – the expectations of a public obsessed with an ad like no other. The retailer's Christmas TV spot, with its pithy narrative, softly sung cover version and emotional denouement has become a major event on the marketing calendar, sending Twitter, and hearts, aflutter. Even if you're left cold by the hype, there's no denying the increasing levels of craft that have gone into the campaign. Campaign has revisited the work of Christmases past to look at how John Lewis' ads have developed from the stylised, minimalist approach of 2007 into the sweetness of more recent epics. The ads, by Lowe London, depicted presents being stacked in such a way that they created shadows in the shape of people for whom they were apt. The message was that John Lewis would help people find the perfect present for the people they love. This was the first year that Craig Inglis – today John Lewis’ customer director, then its head of brand communications – became more visibly active in the brand’s advertising. He told Marketing at the time that the ad purposely avoided images of excessive consumerism. Created by Lowe London again, the ads showed a series of portrait-style tableaux featuring people from varying demographic and ethnic groups, interspersed with images of their perfect gifts. The action is set to a cover of The Beatles’ From Me to You. A folk cover of Guns N’ Roses’ Sweet Child O’ Mine accompanied the first John Lewis Christmas TV campaign by Adam & Eve/DDB. The £5m ad campaign depicted children opening gifts intended for adults, such as a laptop and slippers. The final scene showed a girl becoming a woman. The campaign, which relaunched its "Never knowingly undersold" customer proposition, had an increased emphasis on narrative, offering a hint at how the retailer’s Christmas ads would develop. The effort helped drive a Christmas period sales increase of 12.7% on the previous year. In February 2010, Inglis’ contribution to John Lewis’ marketing was recognised by his promotion to director of marketing, nearly a year after marketing director Gill Barr left the company as part of management cutbacks. Not long after, "She's always a woman" hit the screens for its spring campaign. Up-and-coming British singer Ellie Goulding covered Elton John’s Your Song for the ad. 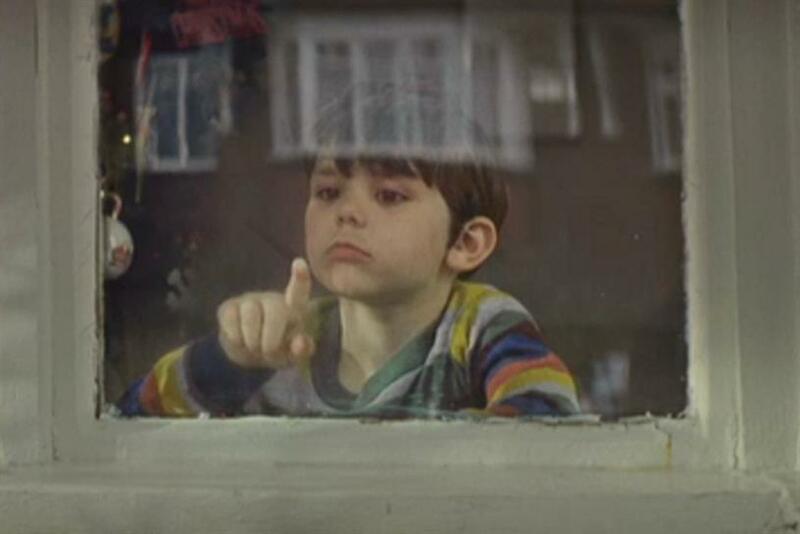 Set to the melancholic tones of a female singer covering The Smiths’ Please Please Let Me Get What I Want, the ad saw John Lewis and agency Adam & Eve/DDB embrace the full-blown narrative approach to advertising, with almost Spielberg-scale schmaltz. Dougal Wilson directed it. The strategy paid off, with the ad proving massively successful online – within days of its launch it had passed the 1m mark online. Sales also mirrored the ad’s popularity – up 9.3% year on year to £596m in the five weeks to December 2011. In the 90-second spot again directed by Dougal Wilson and created by Adam & Eve/DDB, a snowman goes on a quest from the country to a John Lewis store in the city to buy a hat, gloves and scarf for his snowwoman-lover, with the outcome witnessed by a young girl looking out of her bedroom window on Christmas morning. The action takes place with another female crooning a minor key version of a popular hit – this time Frankie Goes to Hollywood’s The Power of Love. The ad was not as popular online as 2011’s "The long wait"; although it drew a far-from-paltry 3.5m views on YouTube. After ITV viewers gained a sneak preview during the channel's Agatha Christie's Poirot, when an animated image of a bear was shown with the hashtag #sleepingbear, the following morning saw the full epic ad revealed and it sent Twitter into meltdown. Again. The ad surpassed its predecessors and went on to become the retailer's most popular campaign across all measures. Little boy Sam finds a partner for his best friend, Monty the Penguin. Adam & Eve/DDB recreated the magic of "The long wait" with a multimedia campaign, which included an in-store experience using technology that brought toys to life. Dougal Wilson also returned to direct the ad. 2015's offering was a real tear-jerker, telling the tale of a girl who sends a gift to an old man living alone on the moon. The campaign saw John Lewis partner with charity Age UK. Kim Gehrig directed the ad through Somesuch. Last year's spot took a more humorous approach. Dougal Wilson returned to direct the ad, which depicts a dog called Buster who finally gets the gift that everyone wants. The film is set to a cover of the song One Day I’ll Fly Away, recorded by British band Vaults. The campaign includes a number of digital firsts, extending to the Oculus Rift, Snapchat and Twitter Stickers for the first time. The ad was shared more times in its first hour than any of its predecessors were in their first 24 hours.